New York, February 14, 2017 – NYM Holding, Inc. (“NYM”) today announced that it consummated its business combination with E-Compass Acquisition Corporation (NASDAQ: ECAC, ECACU, ECACR) . With the closing of the transaction, ECAC has been renamed iFresh, Inc. (“iFresh”). 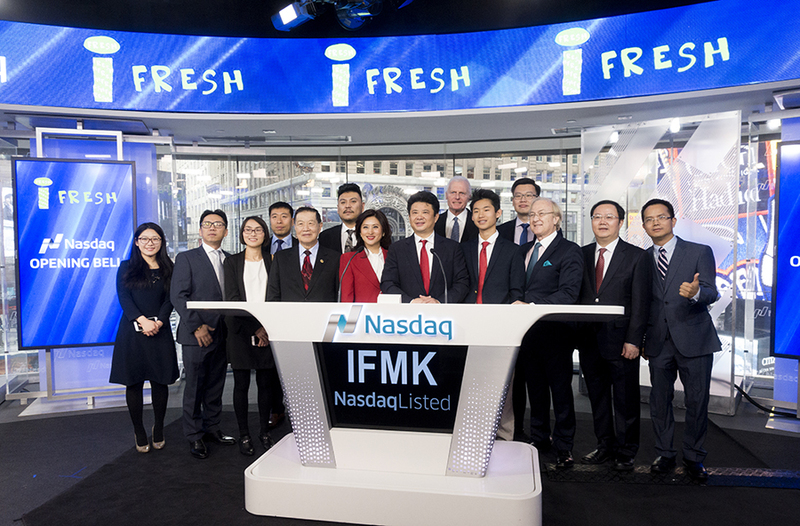 iFresh is the first public-listed Chinese/Asian supermarket chain in the U.S.
NYM is a fast-growing Asian/Chinese grocery supermarket chain in the north-eastern U.S. providing food and other merchandise hard to find in mainstream grocery stores. The transaction was unanimously approved by the boards of directors of both companies and was approved by a vote of ECAC’s shareholders at a special meeting on January 17, 2017, and its common shares is trading on NASDAQ under symbols “IFMK”, beginning on February 13, 2017. Cantor Fitzgerald acted as capital market advisor for ECAC. B Riley & Co. LLC acted as investment banking advisor to ECAC and assisted NYM in obtaining debt financing from KeyBank National Association (“Key Bank”). The terms of debt financing are detailed in SEC filing. Loeb and Loeb LLP advised NYM on debt financing from Key Bank. UHY Advisors Corporate Finance, LLC acted as financial advisor to NYM in connection of business combination. Loeb and Loeb LLP advised ECAC and Pryor Cashman LLP advised NYM on business combination.